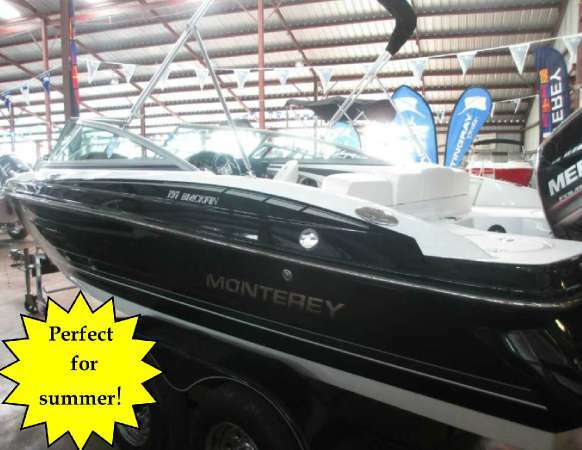 2015 Monterey 197BF, ONYX COLOR W/SAPPHIRE UPHOL&GRAPHICS, STAINLESS STEEL PACKAGE AND MANY MORE OPTIONS.....The 197 Outboard...Sleek, Stylish and SportyUshering in a whole new era for Monterey, this mean multitasking machine is in a class all its own. 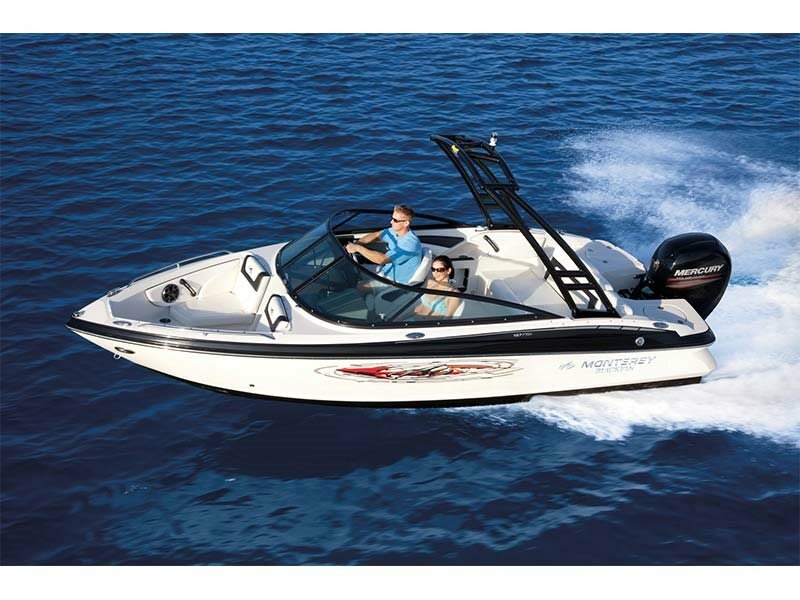 The 197 Blackfin features port and starboard bucket seats, a built in cooler, and multiple storage options making it both roomy and functional.And for the angler in the family? 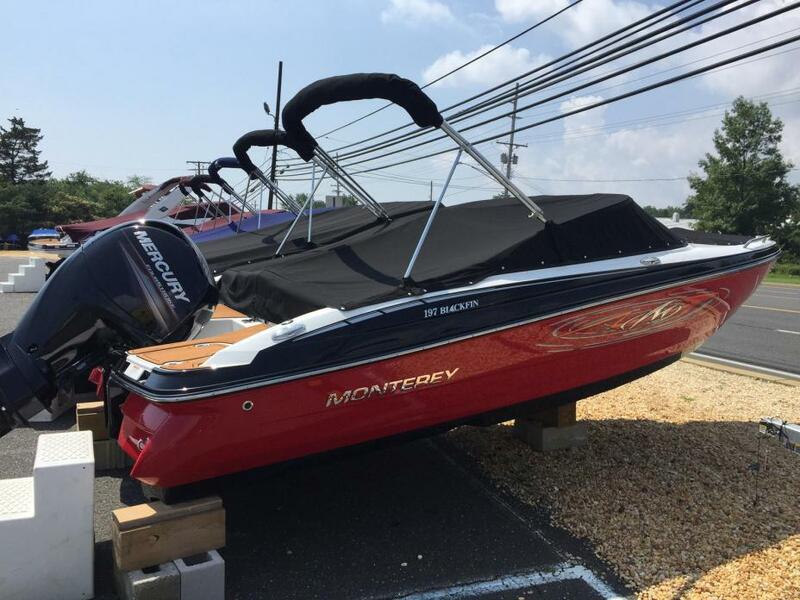 The 197 features an optional Fishing Package that includes a large aerated livewell, fishing rod storage, trolling motor and custom fishing seats. 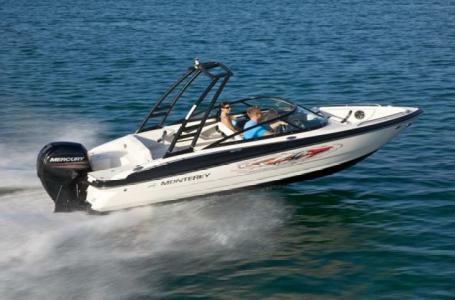 Our Blackfin series will make you fall in love with being on the water all over again.